Casting Flux is mainly used to remove hydrogen and floating oxidized slag inside aluminum water, high temperature melt purification (refining) treatment of aluminum alloy, and the basic function is to remove internal inclusions and hydrogen in high temperature melt. This makes the aluminum liquid more pure and also has the effect of clearing the slag. Some members of Flux Melting are easy to decompose at high temperatures, and the generated gas can react with hydrogen, and can strongly adsorb slag and quickly escape from the melt to play a role in clearing the slag. Aluminum water Casting Flux can be used in a variety of aluminum alloy melts, can be used for pure aluminum smelting, and can be used for refining and slag cleaning. It is only necessary to sprinkle the refining agent on the surface during use, and then the refining agent is quickly dissolved in the aluminum liquid and then thoroughly stirred. If a jet is used, it is better to use an inert gas to inject the refining agent, for example, nitrogen and argon can be selected. The aluminum Casting Flux has the advantages of being smokeless, odorless, dust-free, and easy to operate. For example, the special bell jar for melting treatment is better, and the plant and equipment are not corroded. The refining agent has a good degassing effect, and under normal conditions, the pinhole degree of 1-2 can be achieved. The slag is dry, loose and light, and has good separation from the aluminum alloy liquid and is easy to remove. After the refining treatment, the surface of the aluminum liquid should have a thin layer of flux floating up to the liquid surface. Indicates that the reaction is good, and if there is no such flux, the operation is poor. After 5 to 8 minutes of rest after the end of the treatment (using the conventional sample including the skin test), no air bubbles should escape to the liquid surface, indicating that the aluminum liquid is well treated. Aluminium Water Casting Flux is specially developed by AdTech to produce, sell and refine the aluminum metal liquid degassing and slagging refining agent in the aluminum alloy casting process. 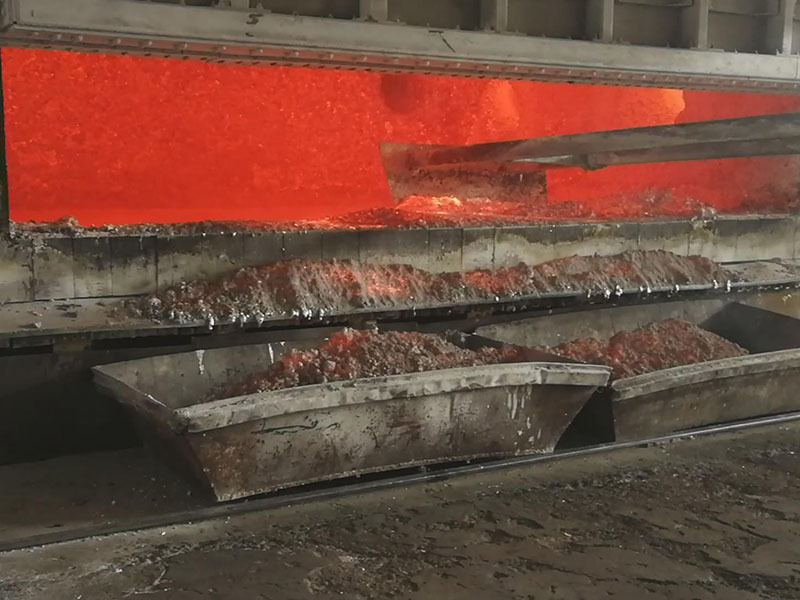 AdTech’s refining agent uses unique technology to enhance the traditional degassing in the molten metal. The effect of slag removal is applied to the casting and rolling process of multi-series aluminum alloy products: micron-sized aluminum foil wool, PS board base for printing, cans, elastic packaging materials, rail transit, aerospace products, cable wires, etc. Purification of the degassing and slag purity of the molten metal in the process of alloy raw materials.